Hammam Rosa Bonheur - Marrakesh Morocco - Face à une demande croissante de lieux typiques dans la medina de Marrakech, le Riad Al Ralia et son Spa ouvrent ses portes aux amoureux du monde mais auss. Hammam Rosa Bonheur, Spa Care of the mind and body A trip to Morocco without a visit to the hammam is an unfinished dream. Benefit from a hammam is to enter the depths of the country. This is a unique and authentic journey to heal both the mind and the body. It is impossible for the mind to leave a hammam without measuring the history of its places and ancestral traditions of oriental beauty. For the body, because it's well-being is a vital player in one's health. 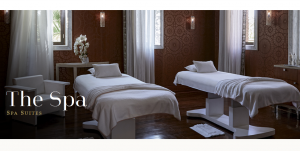 Come and discover Hammam Rosa Bonheur for a personalised relaxation experience. Close to the Place Jemaa El Fna, our new spa combines the beauty of an old redecorated place with techniques for men and women of today. This hammam spa, with its timeless atmosphere, the atmosphere of which draws its wealth in oriental spa is a place of rest and relaxation in which the care, welfare and beauty come together in the same delight. We have developed for your wellbeing a range of treatments using natural products enabling you to discover the beauty of the Moroccan ritual. You will never regret the choice of discovering the oriental care in one of our spas. Either, Hammam Rosa Bonheur ( located near Bahia Palace) or Hammam Paradis ( situated in mouassine neighbourhood). Therefore, you will not only spot the mysterious Moroccan beauty in its own, but it’s a unique journey to discover Moroco in its pure authenticity and its well_known absolute generosity. Our professional aestheticians are at your disposal to welcome you from 8:30 Am till 23h30 in the evening at the collection of our riads and spas named as Samira Riads Spas. However, the satisfaction of our clients is a compulsorily prior, indeed, they are our respected representatives on trip advisor. Therefore, it is advised to reserve the time for your re-energise care treatement which will surely end up in a vivid experience to be told. In addition to the aforementioned, it is possible to join as a couple at the same space in the same time. Besides, we have absolutely developed various natural products from Marrakech areas for getting an overall well being for your body and mind too. If you opt for the formula with tradional Moroccan lunch or dinner (which will be in one of our sunny terraces), we have to point out that would be good to inform us as you will enjoy our company to the Medina souks to get our fresh local vegetables. We are highly at your disposal for all your requests to clarify your choices. You are very welcome at Samira Riads Spas at any time of you.